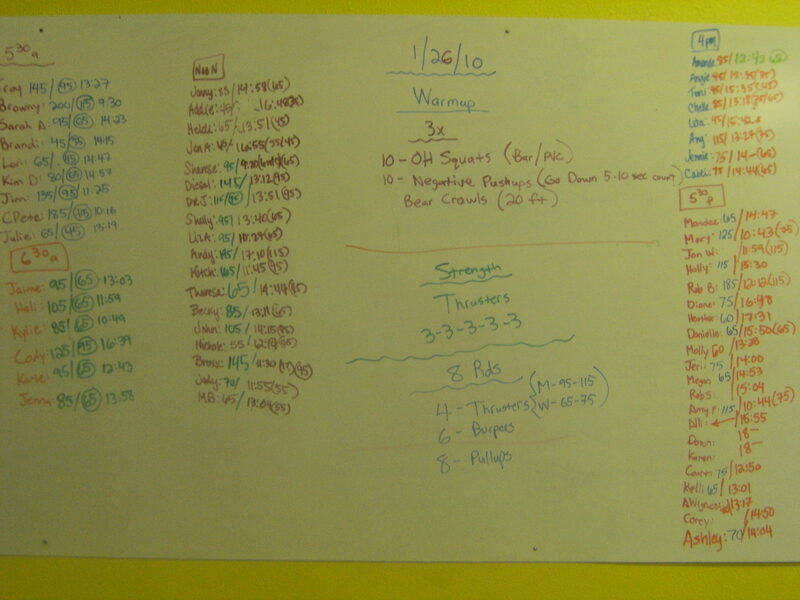 This entry was posted on January 26, 2010 at 4:15 pm and is filed under CrossFit Workouts. You can follow any responses to this entry through the RSS 2.0 feed. You can leave a response, or trackback from your own site. Start @ 1 & go up – 3…2…1… GO! This may actually be a workout somewhere? I don’t know but it sounded kind of “fun” when I thought of it. A good friend of mine is a member at CF Omaha and they did this earlier this week…he met PUKIE afterwards! Once you are done with the Rx’d reps for the minute, you rest until the start of the next minute. If you don’t complete a round in the minute timeframe, you continue to go until you are done. You rest the remainder of that time until the start of the next round and go from there. There is no set pattern to the number of reps…at least that’s what I told my non-math major self. P.S. I don’t like Burpees…I just think this sounds like a killer WOD. Dude, I am not sure I can do 20 burpees in a minute under ideal circumstances (standard temperature and pressure in a vacuum, of course)! this is pure evil for 40 minutes!! i agree w/ mitch… 20 burpees in a minute – that’s crazy talk. This work-out was KILLER! I am NOT a fan of burpees, but I loved this one!! What the heck is wrong with all of you Cardio-Sadists? 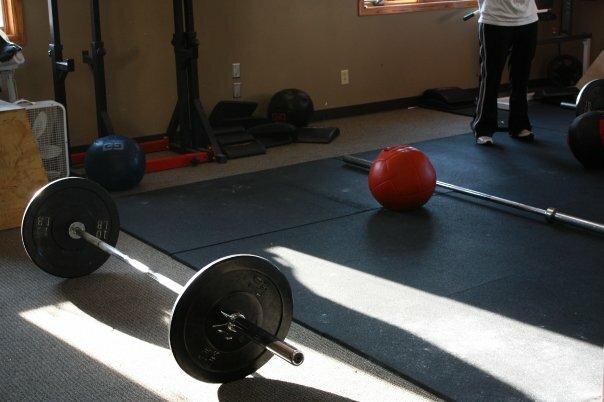 Not a single one is a lifting workout…..and according to many smart people out there pure strength is the element of fitness that is most difficult to develop…..am I right people?! On the subject of “real” pushups: if the breast-tisies aren’t touching the sanitized surface of CFSF’s flooring, then its not a pushup. Don’t be ashamed to hit those knees if you have to, peeps. ROM is your friend! like this one mitch… i would recommend though switching OH squats with deadlifts. we all know the angry gorilla and HS Pushups are fabulous with pullups!